Car maintenance is a crucial part in ensuring the longevity of your vehicle. So when it comes to selecting your parts, we always recommend going for Original Equipment Manufacturer (OEM) products. Sure, there are a variety of third-party aftermarket parts that could do the job. However, when you utilize OEM parts from Lexus of Richmond Hill, you'll have the peace of mind knowing that not only was the piece of equipment specially engineered to fit your vehicle, but to help keep it running at its full potential as well. 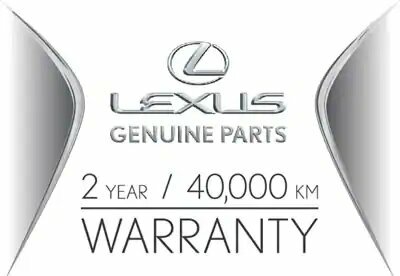 At Lexus, we've increased the warranty on our Genuine Lexus Parts to 2 Years/40,000 km, for new service replacement parts purchased and installed at a Lexus of Richmond Hill as of October 2014. In a world where the unexpected hides around every corner, stay confident behind the wheel knowing that when it comes to your replacement parts, we have your back.